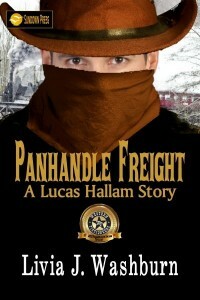 A bitter winter storm was blowing fiercely when Lucas Hallam rode up to the isolated railroad station. It wasn’t a fit night for man or beast to be out, but Hallam found himself joined by a number of other pilgrims waiting for a train – and one of them just might be a killer. But the big man has a secret of his own . . .
Panhandle Freight was a finalist for the Peacemaker Award in the category of Best Short Fiction in 2012, and now it’s finally available as an individual e-book. 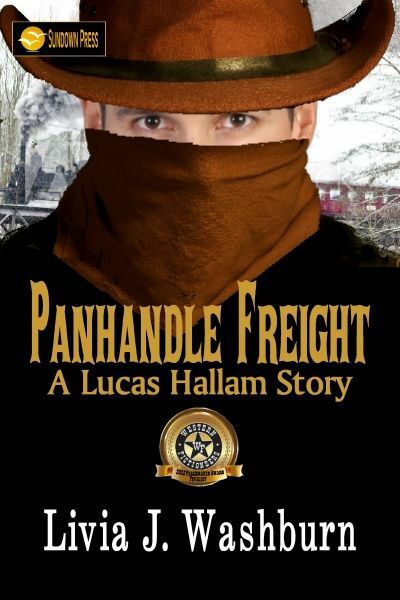 Full of mystery and action, it’s another fine adventure of Lucas Hallam, author L.J. Washburn’s iconic gunfighter detective.